The daily Foxwoods tournament schedule has resumed with the conclusion of the Foxwoods Poker Classic. Make sure you join us Thursday at 6pm for our $180 NLHE $15,000 Guaranteed Tournament. You can view the full daily tournament schedule here. 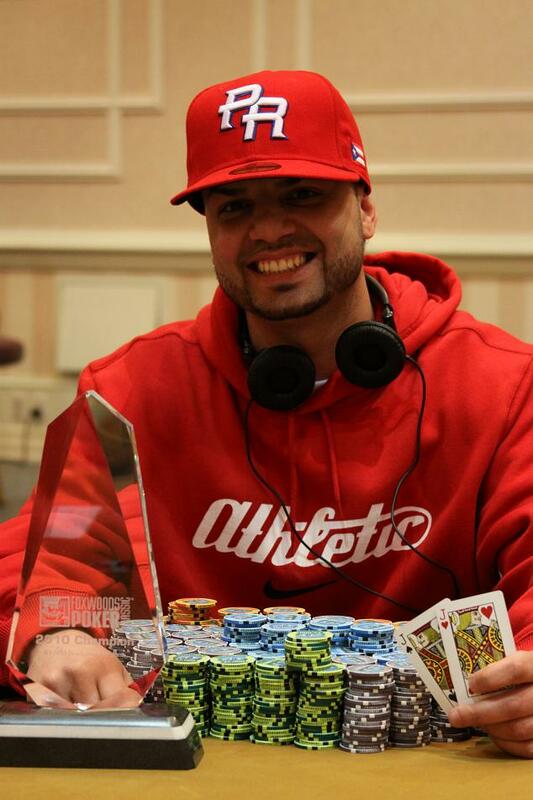 Congratulation again to all of our winners and a special shout out to Kupe!!! Pictures and interviews to be posted shortly. Congratulations to all the players! 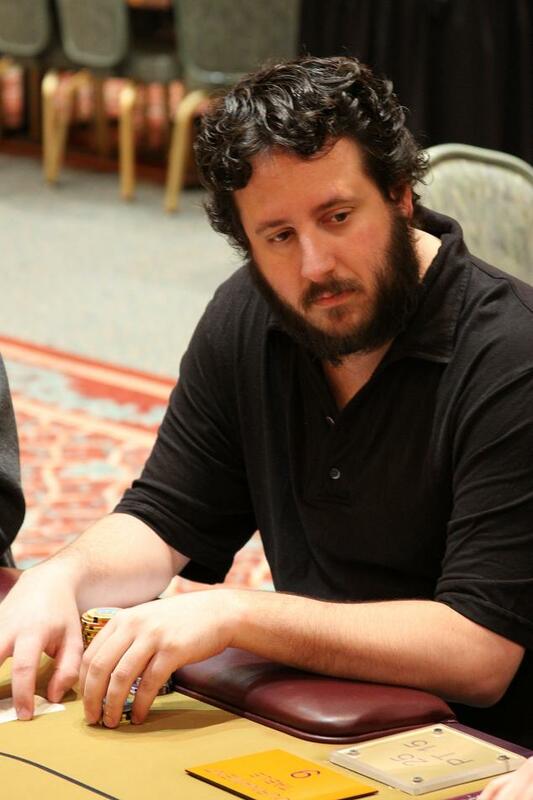 The board ran out [Jd][7s][2c][6s][4d] and Vazquez won the pot to eliminate Lynch in 4th place. The board ran out [Qh][Td][5s][2s][Th] and Lemke won the pot to eliminate Manwaring in 5th place. The blinds have been increased to 15k-30K with a 4K ante. 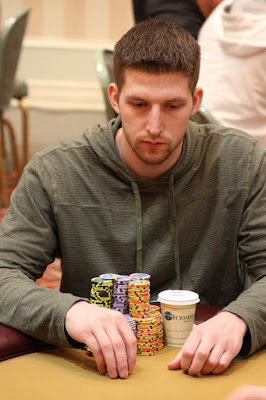 Brian Lemke, who had just over one million chips at the beginning of this level, lost a monster pot to Luis Vazquez, knocking him down to around 200,000. However, he has since built up his stack and was just able to double up through Vazquez to boost his stack back up to over 600,000. The board came out [Jh][6h][2h][7d][8c] and Laso's queens held up to take the pot and eliminated Ulmer in 6th place. 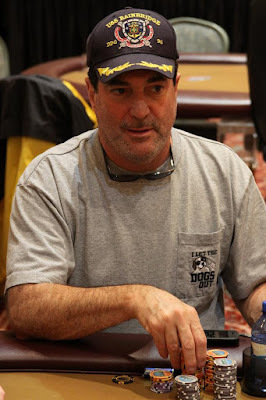 Ulmer was dominated but the board came [8d][8h][3h][Tc][2s] and Ulmer flopped trip eights to win the pot and double up to over 600,000. 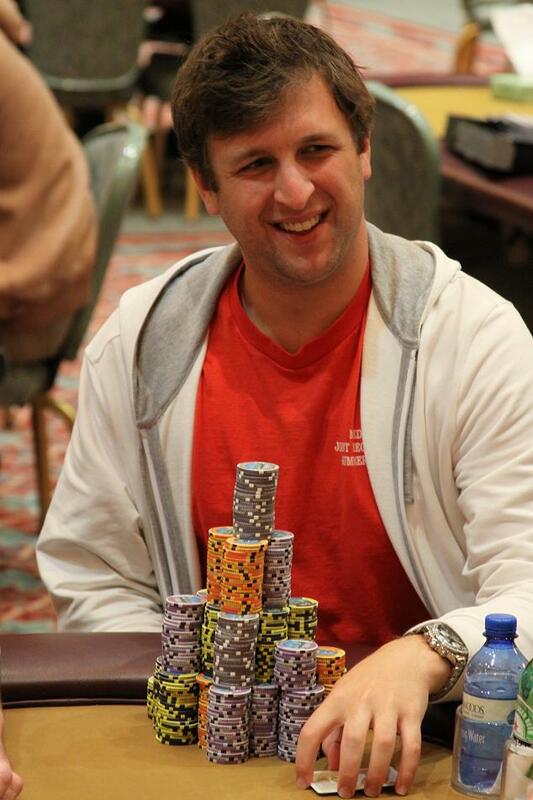 The blinds have been increased to 12K-24K with a 3K ante. There are six players remaining. Tim Ulmer wanted us to say hello to Caitlin!!! Also, Luis Vazquez wanted us to send a shout out to Tony Montero. Here are the updated chip counts for the final six players. Brian Lemke wanted us to say hello to Kathy!!! The board came [Kd][4s][3h][Qs][7c] and Eriquezzo did not improve his hand. He finishes in 7th place and takes home $30,832. 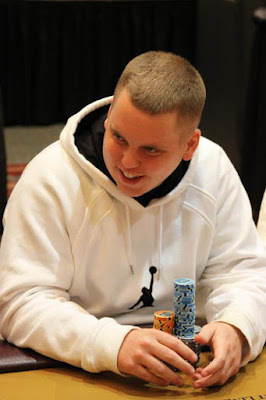 The board came [Ac][4h][4s][Td][Jc] and Lemke paired his ace to take the pot and double up. 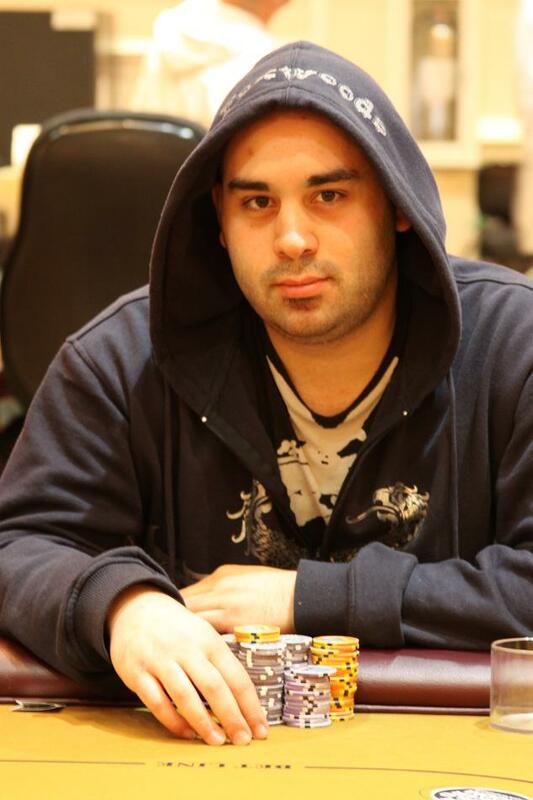 The board ran out [7c][2c][2s][2h][5d] and Vazquez won the pot to eliminate Salinaro in 8th place. Here are the updated chip counts for the final eight players. The player are now returning from a break. The blinds are now 10K-20K with a 3K ante. There are still eight players remaining. The board ran out [Tc][3h][2c][Th][3c] and Eriquezzo's ace high held up to win the pot and double him up to just under 400,000 in chips. 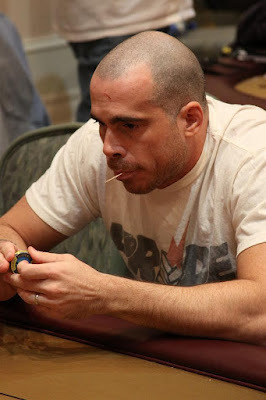 Luis Vazquez raised to 32,000 preflop and Louis Lynch reraised to 102,000. Vazquez made the call and the flop came down [8d][8h][2d]. Vazquez checked and Lynch bet 150,000. Vazquez min-raised to 300,000 and Lynch made the call. The turn was the [Kh] and both players quickly checked. The river came the [6h] and Vazquez fired 400,000. Lynch tanked for a few minutes before making the call. 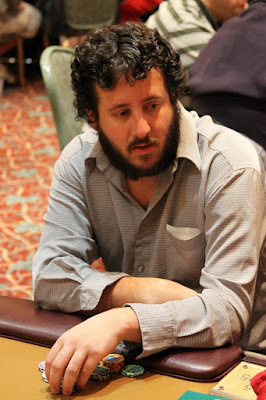 Vazquez turned over [Ah][7h] for the runner runner flush and Lynch mucked his hand. 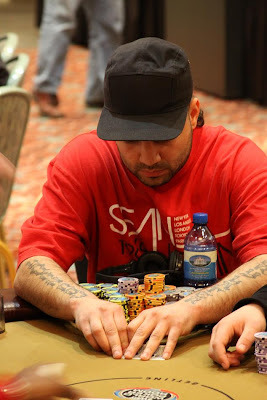 Luis Vazquez in now right at two million in chips. 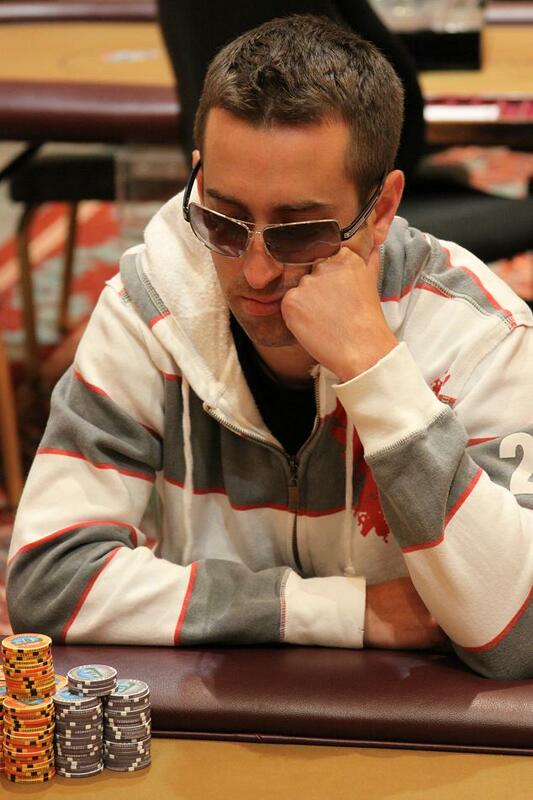 The blinds have been increased to 8K-16K with a 2K ante. 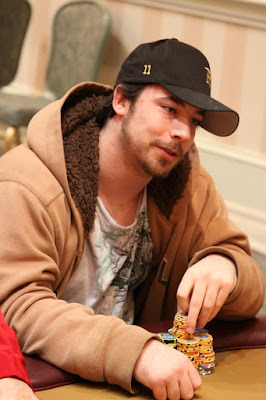 The flop came down [Ah][Th][9h], giving Carey the lead with a pair of aces but Lynch the nut flush draw. The turn was a harmless [Js]. The river came the [Kd], giving Carey two pair but Lynch a set of kings. Lynch won the hand to double up. 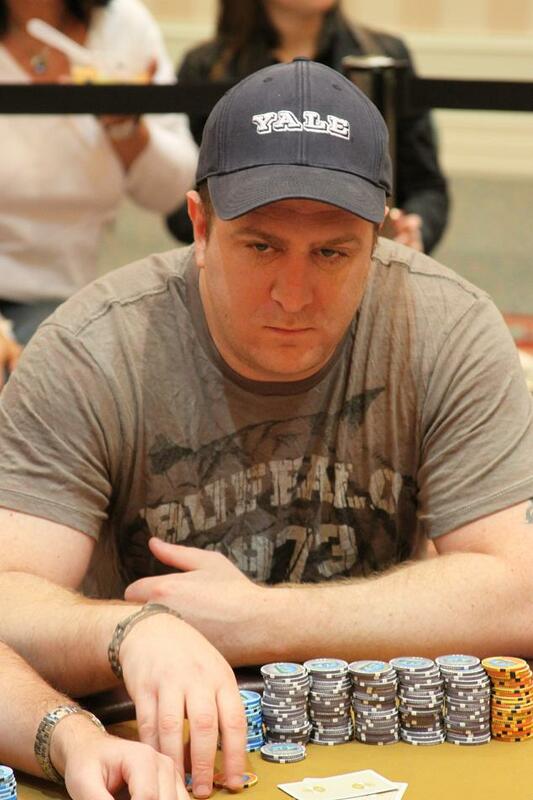 Ryan Carey was left with only 11,000 in chips and was all in on the big blind on the very next hand. He was eliminated by Brian Lemke. Carey takes home $15,781 for his 9th place finish. 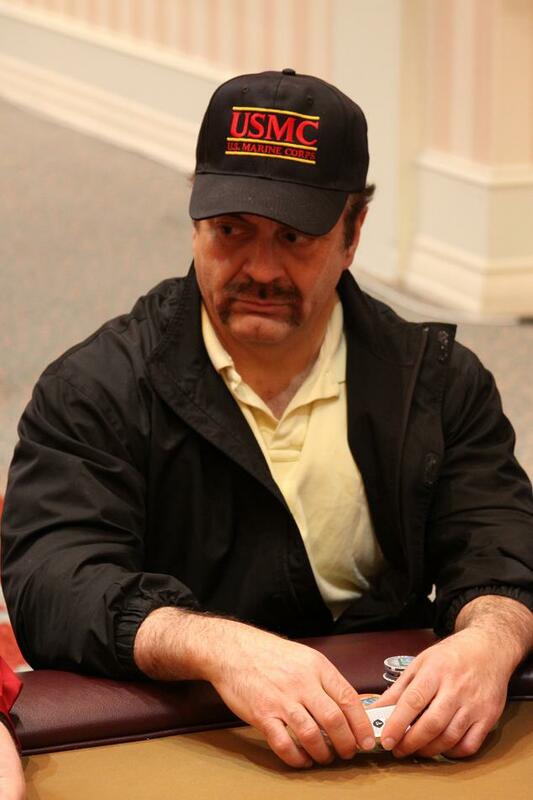 Play has started at the Foxwoods Poker Classic Main Event. The blinds are 8K-12K with a 2K ante for another 22 minutes. The final table of the Foxwoods Poker Classic $3,500 Main Event is about to get underway. 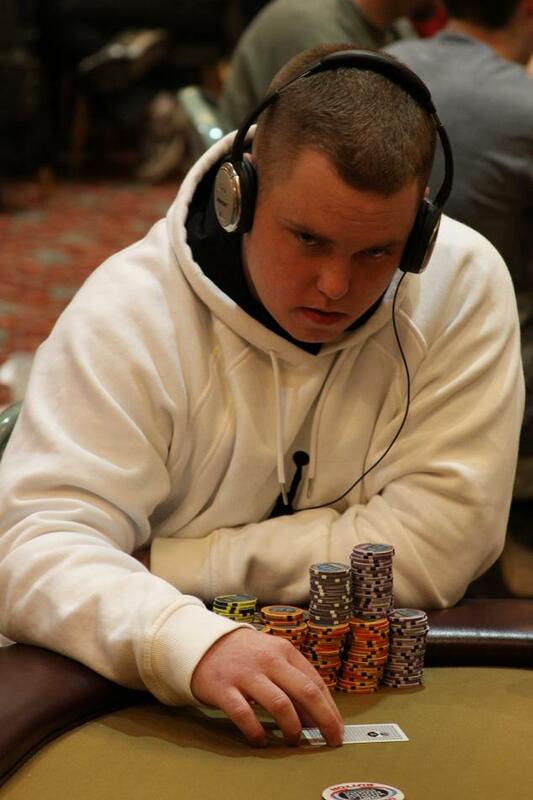 Play will resume tomorrow at noon in the Grand Pequot Ballroom at the Foxwoods Resort and Casino. The board came [8h][6d][2c][7c][8c] and Manwaring won the pot to eliminate Rice in 10th place. The final ten players are redrawing for seats at the final table. Players have agreed to play down to nine tonight and then resume play tomorrow at noon. The board ran out [Kc][Ts][9d][Th][7s] and Carey's hand held up to win the pot and eliminate McCormack in 11th place. 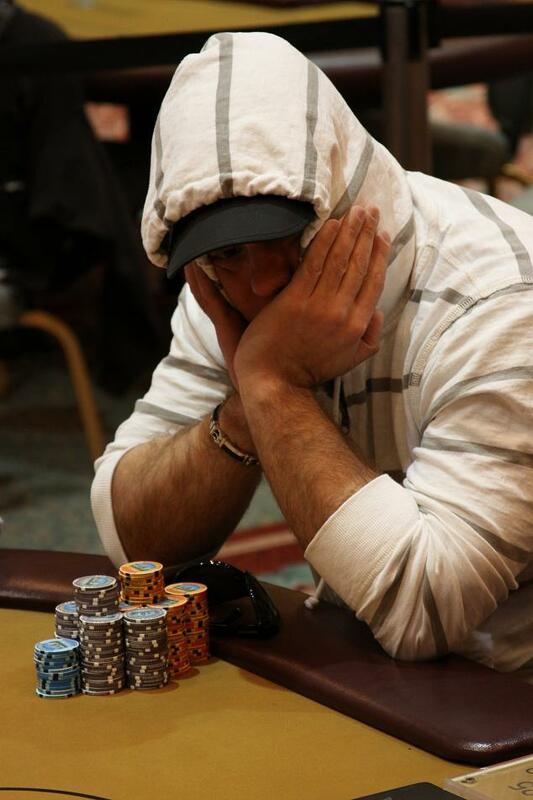 Charbel Azzi has been eliminated in 12th place and takes home $12,547. 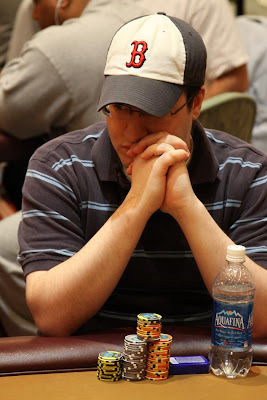 A short stacked Bryan Leskowitz has been eliminated when his [Th][9h] failed to improve against Ryan Carey's [Qd][Qs] on a board of [9d][7s][5h][4s][7c]. 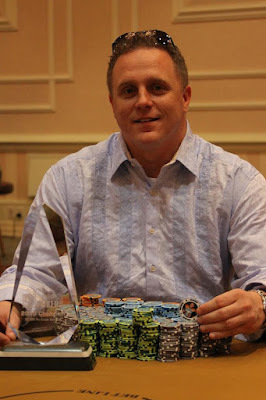 takes home $10,755 for his 13th place finish. 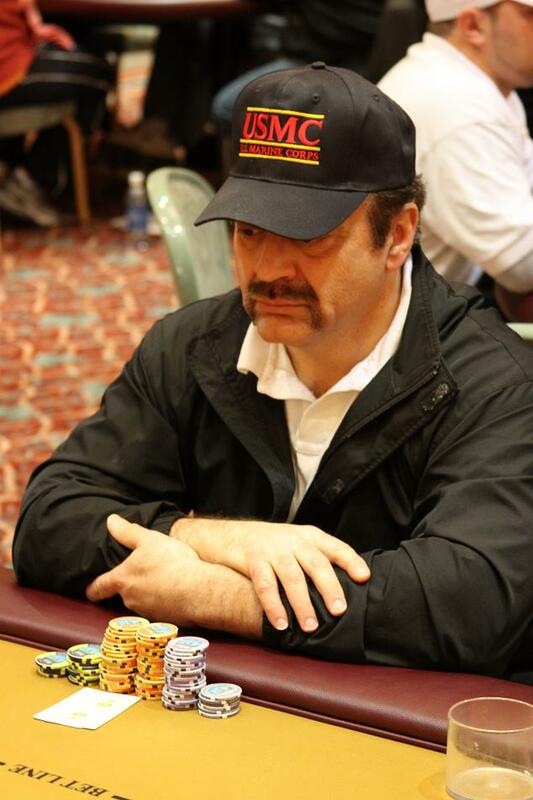 Geral Aiello has been eliminated from the Foxwoods Poker Classic Main Event in 14th place. 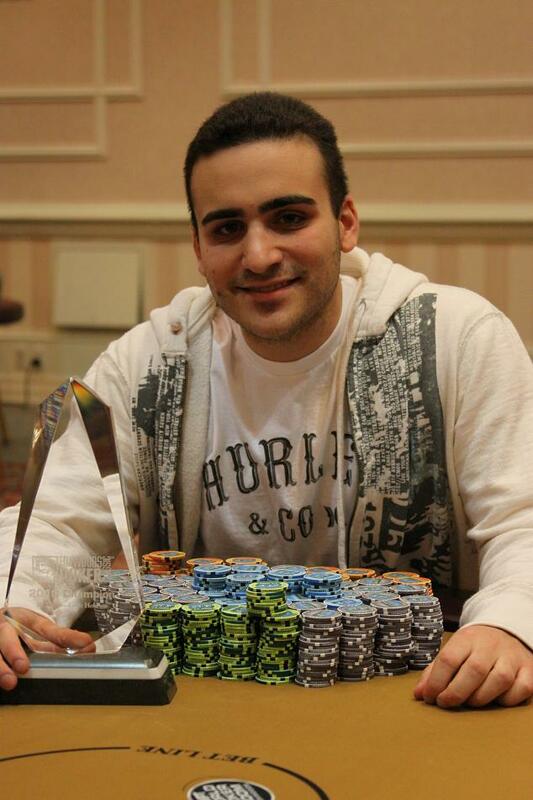 He takes home $10,755. 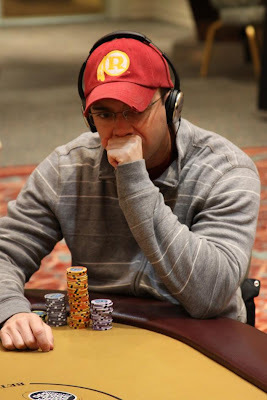 The blinds have been increased to 6K-12K with a 2K ante. There are 14 players remaining and the average chip stack is 480,000. Brian Lemke got all of his chips in preflop with pocket aces against his opponent's pocket kings to double up to around 600,000 chips. 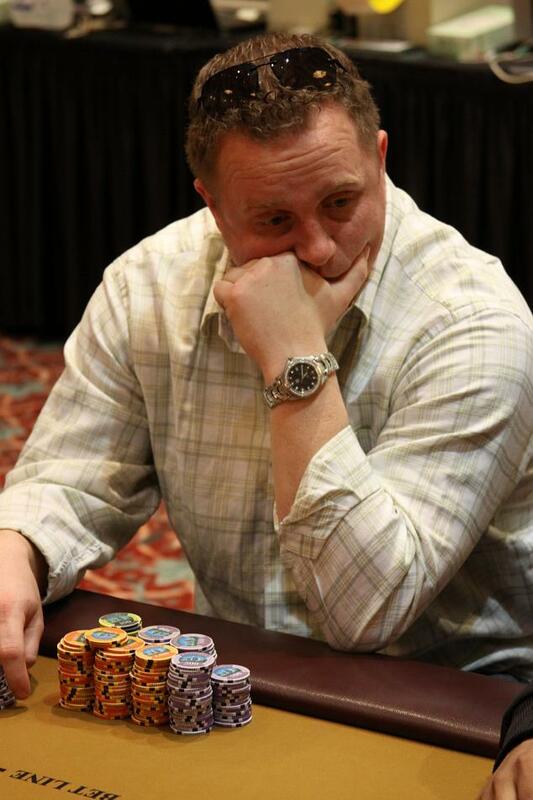 The board ran out [Tc][Td][7s][5c][6h] and McCormack's hand held up to put him back to just under 400,000 chips. 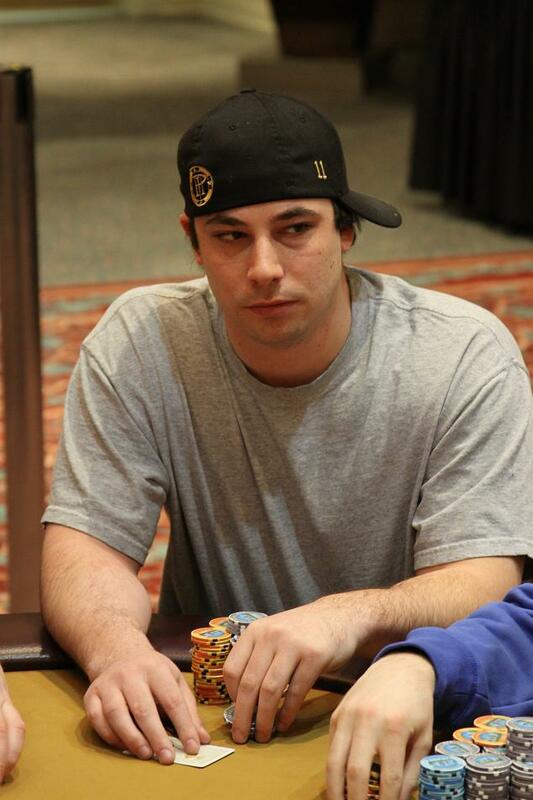 Andrew Badecker has been eliminated in 15th place, earning $10,755. We had three players eliminated within a few moments of each other and are now down to the final 16. 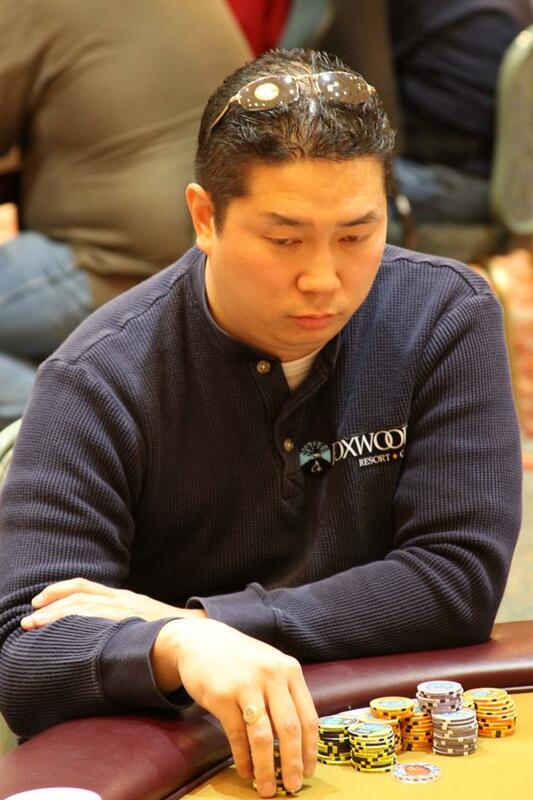 Players have redrawn for seats at the final two tables and play has resumed. Doug Uhl raised to 30,000 preflop and was called by Mark Salinaro in the small blind and Brian Lemke in the big blind. 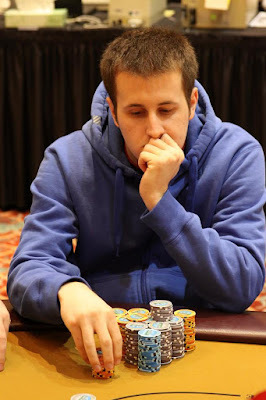 The flop came [7s][6h][4s] and it was checked to Uhl, who fired 38,000. Salinaro made the call and Lemke folded. 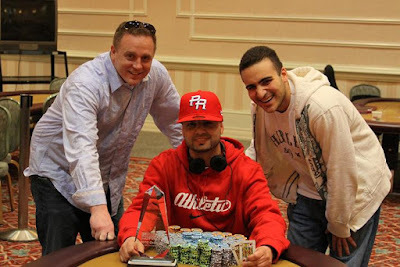 Both players turned the flush but Salinaro held the nuts. The river came the [Kc] and Salinaro won the pot, eliminating Uhl in 20th place. 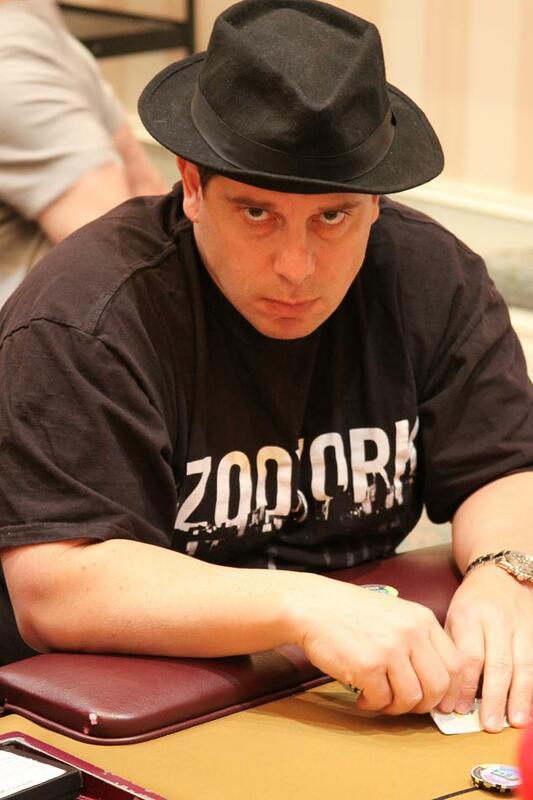 Mark Salinaro now has over 1.3 million chips. 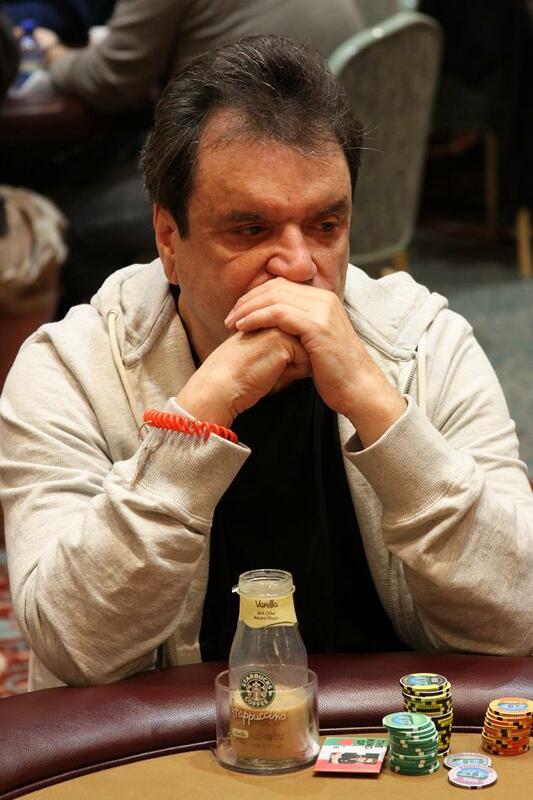 The blinds have been increased to 5K-10K with a 1,500 ante. There are 20 players remaining. 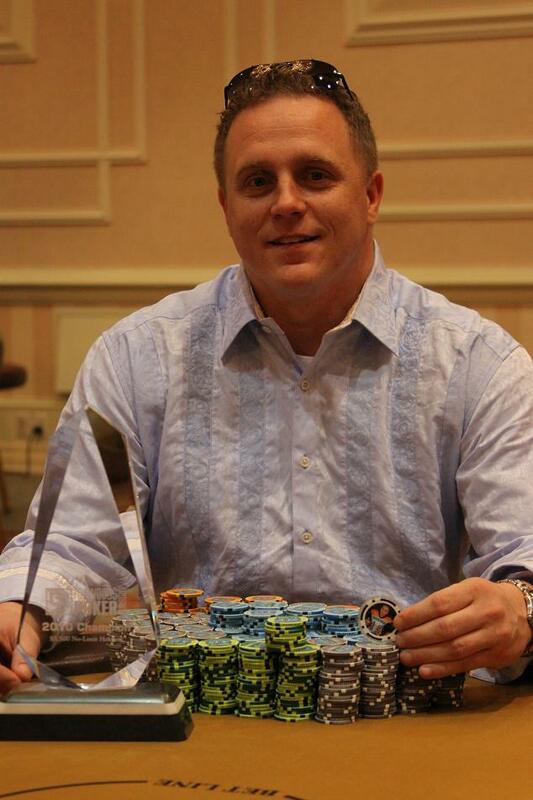 The average chip stack is 336,000. 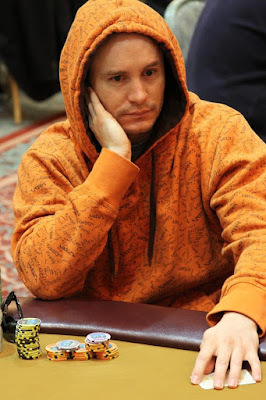 The remaining 20 players are currently on a break. Brian Lemke wanted to say hello to his son, Austin, who is following along from home at www.FoxwoodsLive.com! Chip leader Mark Salinaro knocks out Justin Schwartz on the bubble of the $3,500 Foxwoods Poker Classic Main Event. Mark Salinaro, chip leader going into day three of the Foxwoods Poker Classic Main Event, talks to Jay "WhoJedi" Newnum before play begins. The board ran out [Ah][6h][5h][Qh][9h], the needle river was no help to Fox as Enriquezzo held the [Th]. Enriquezzo won the pot and eliminated Fox from the Main Event. 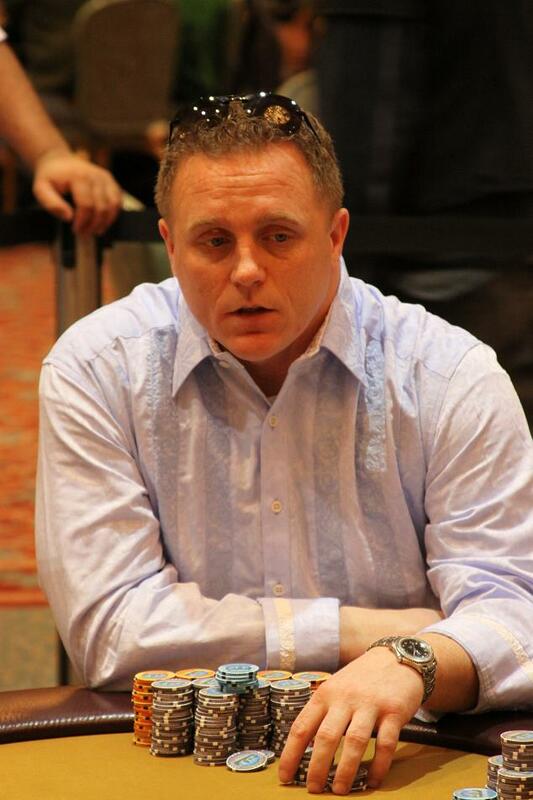 Chris McCormack, who started the day with 400K, has run into two blind vs. blind all in scenerios. He ended up doubling up both Charbel Azzi and William Van Wagner on each side of him. 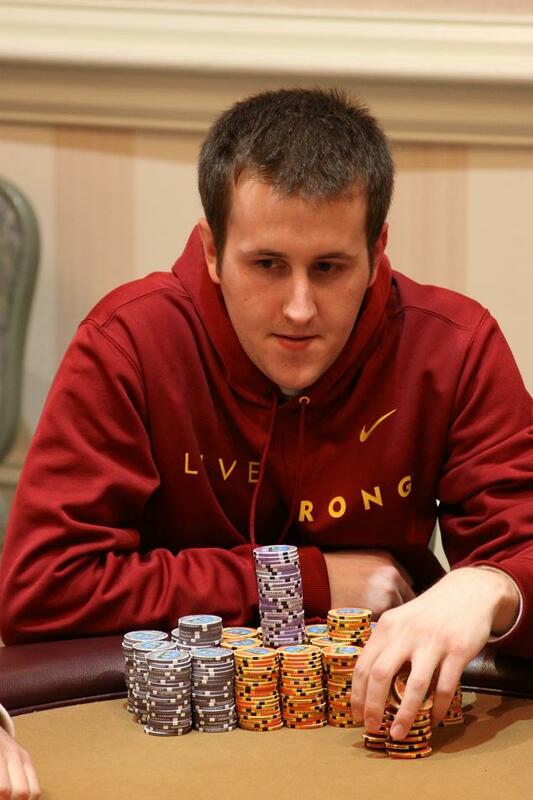 McCormack now has just over 130K in chips. 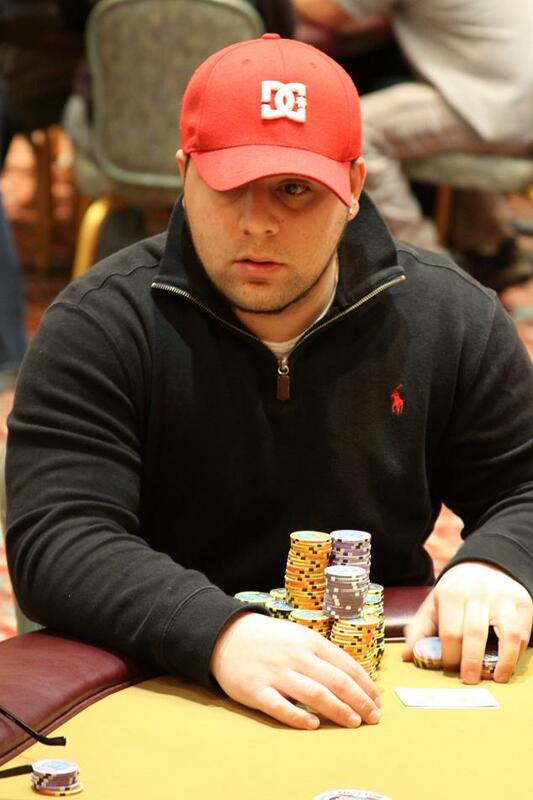 After a raise by chip leader Mark Salinaro, Justin Schwartz moved all in for just over 100K. Salinaro made the call and turned over A-A to Schwartz's Q-Q. Schwartz did not improve and was eliminated in 26th place. All 25 remaining players are in the money. Jason Mechionda has been eliminated in 27th place when his K-Q could not improve against the A-J of Richard Rice. With 26 players remaining, we are officially on the bubble. Play is underway on day three of the Foxwoods Poker Classic Main Event. The blinds are now 4K-8K with a 1K ante. Play has ended on day two of the Foxwoods Poker Classic Main Event. Play will resume tomorrow at noon. Complete chip counts for the remaining 27 players will be posted shortly. As Sheets just pointed out to me, we haven't had a post for about an hour because we still have 27 players remaining. Play will end for the day in 21 minutes. We just lost two players and are down to 27 players. Players are currently redrawing for seats at the final three tables. The blinds have been increased to 3K-6K with a 500 ante. 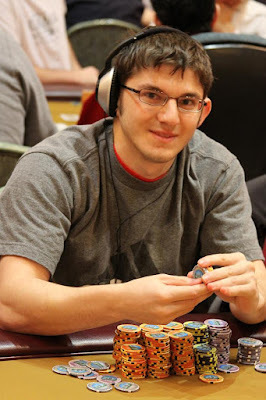 There are 29 players remaining with top 25 spots finishing in the money. 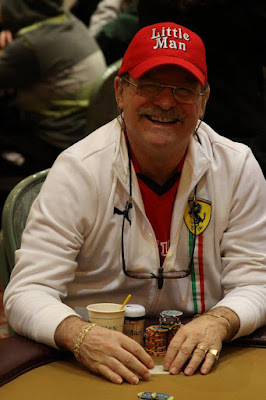 With around 6.7 million chips in play, Mark Salinaro has already accumulated almost one million of them with still 30 players remaining. 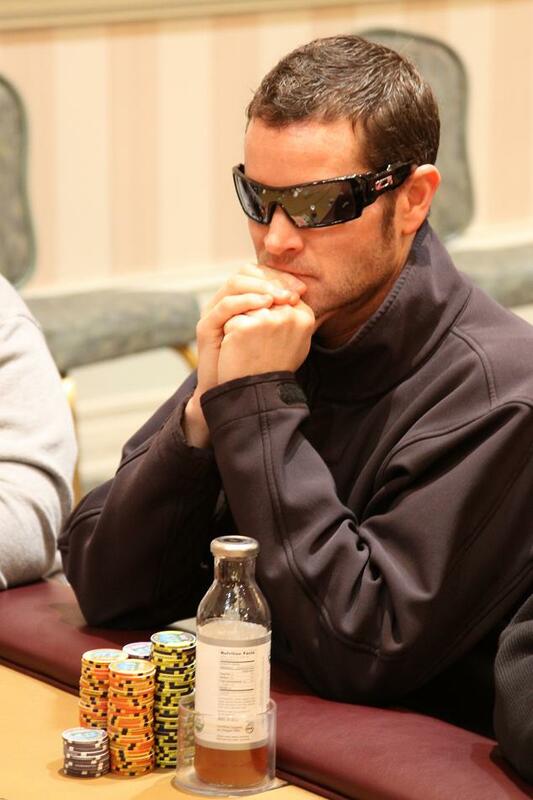 The blinds have been increased to 2,500-5,000 with a 500 ante. There are 34 players remaining. 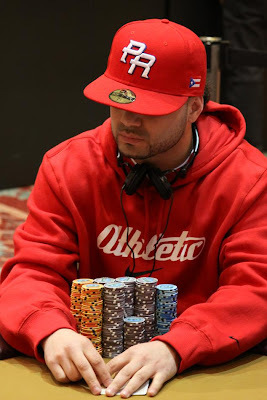 Luis Vazquez has gone over the 600,000 chip mark with 34 players remaining in the Foxwoods Poker Classic Main Event. 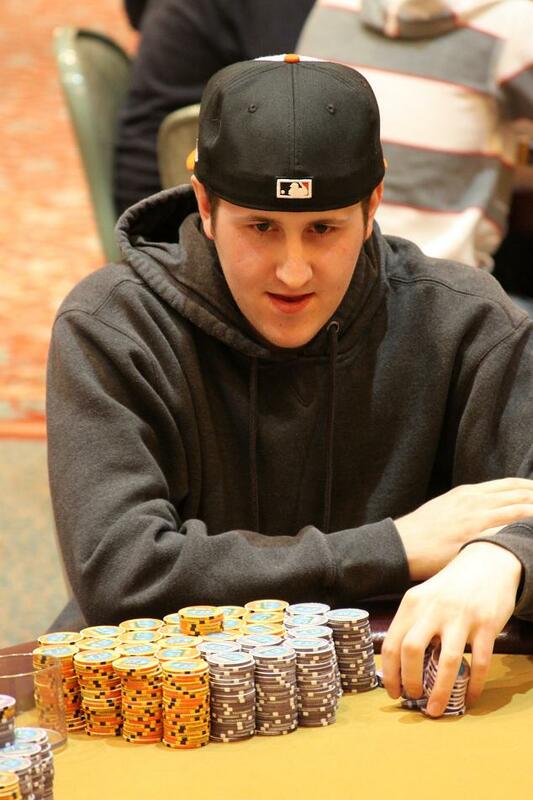 With only 34 players remaining, Scott Dorin has taken a sizable chip lead with over 560,000. The blinds have been increased to 2K-4K with a 400 ante. 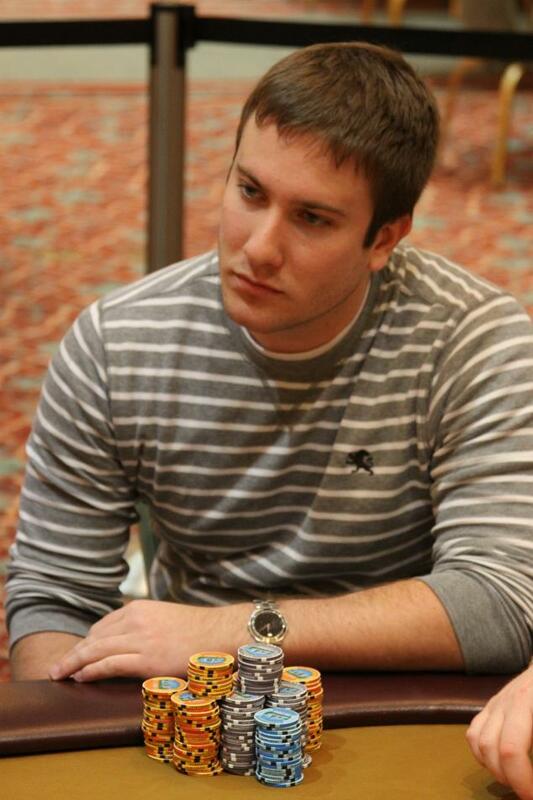 There are now 37 players left with top 25 spots finishing in the money. Matt "I Pay Ur Rent" Iles, chip leader at the Foxwoods Poker Classic $3,500 Main Event, talks to Jay "WhoJedi" Newnum during a break in the action. The 43 remaining players are now on a one hour dinner break. There are currently 43 players remaining. 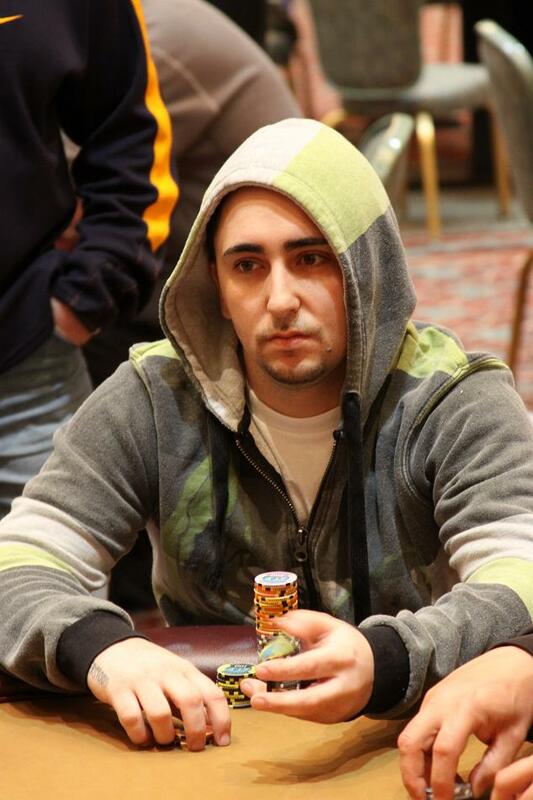 Miami John Cernuto has been eliminated from the Foxwoods Poker Classic Main Event. 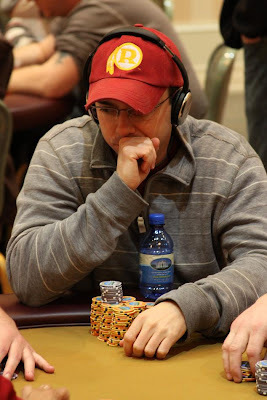 The blinds have been increased to 1,200-2,400 with a 300 ante. There are now 59 players remaining. 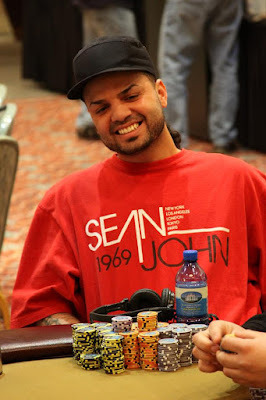 A short-stacked Mike Sica got all his chip in preflop with pocket nines in a blind vs. blind scenerio against his opponent's pocket jacks. Sica was unable to improve and the "Little Man" has been eliminated from the Main Event. 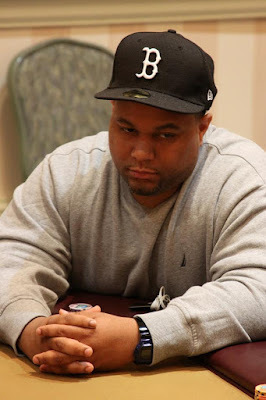 A quick update of the action from Jay "WhoJedi" Newnum on day two of the Foxwoods Poker Classic Main Event. 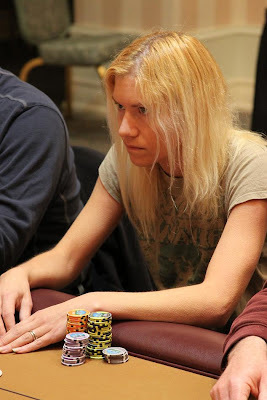 Charlotte Chabot has been eliminated from the Foxwoods Poker Classic Main Event. 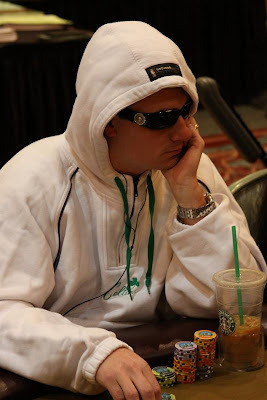 The blinds have been increased to 1K-2K with a 300 ante. There are now 66 players remaining. 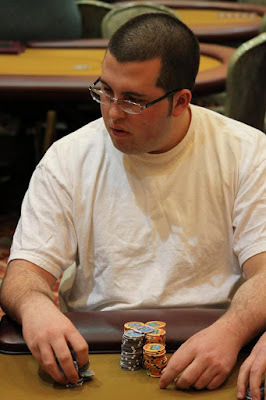 Will "The Thrill" Failla has been eliminated from the Foxwoods Poker Classic Main Event.